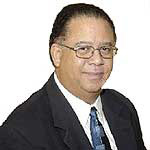 Kenneth P. Marsh is CEO of Fearless Networking, Inc. and Strategic Learning Systems. He has been a business owner specializing in the relationship building arena since 1991. He was formerly Director of Training for one of the world's largest for-profit training organizations. He has written 3 books on networking. Most notably, "Fearless Networking – 1st and 2nd ed." and "How to Fearlessly Network for your Next Job." Ken has published more than 300 articles on business networking for Houstonbusinessdaily.com now PriceofBusiness.com. Ken also has a DVD of his most popular seminar, entitled "How to Fearlessly Network for New Business Development." He has developed curriculum for Rice University School of Business. He has given many motivational presentations as keynote speaker, master trainer and business development coach and has been offered a 5-figure advance to write a book on personal networking by Penguin Publishers, the world’s number two trade book Publisher. Ken has been the recipient of numerous speaking awards. Ken has been a manager of instruction for Dale Carnegie Institute of Houston and the Director of Training for the Dale Carnegie Institute of D.C. (offices in Maryland, Washington D.C., and Virginia). He taught the Effective Speaking & Human Relations Course, The High-Impact Presentations Course, Sales Course, Sales Leader Course, Customer Relations, Executive Image Course, Professional Development Series, Leadership and Management Seminar. He also, was a Train-the-Trainer (International Trainer of Instructors for Dale Carnegie). Ken serves as an advisor, frequent guest host and contributor to the Price of Business Show (AM Talk Radio 650, powered by CBS Radio Monday thru Friday at 11:00 AM – 12 Noon (CST). Ken is the Past President of the American Society for Training and Development-Houston Chapter. He is a past president of Business Network International – West University Chapter where he was awarded a certificate of “Notable Networking for the Most Referrals” for 39 consecutive months (he averages 22 referrals a month). Ken is a graduate of Lamar University. He spent 15 years of his early career utilizing his educational background as a computer programmer, systems analyst, project supervisor, general accounting supervisor, and information systems manager before becoming a trainer, training director, executive coach, job-fit consultant, business development coach, business owner, keynote speaker and author. And...Ken is an accomplished radio and TV personality. Click here to learn more.